Beautiful & individual soft furnishings designed for you to create the look you desire. I have fabrics poles & trimmings in many styles which we can put together in a manor unique to you. I will measure, advise, provide samples & quote. Get in touch to discuss your ideas. Tor lives in Beaconsfield, in Buckinghamshire and creates beautiful home furnishings for houses around the county and beyond. 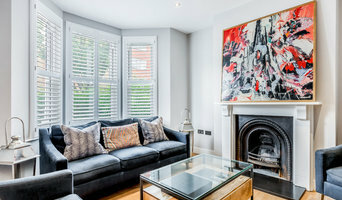 Over the years, Westcot House has developed through word of mouth and commissions, and Tor now works on projects ranging from a single room to a whole house renovation. All curtains and blinds are bespoke and made to measure by hand, in gorgeous fabrics chosen with care. As well as handmade curtains and blinds, Tor offers a full range of upholstery services including padded headboards that can be made to order in any shape, size and fabric. Bed valances and cushions of various styles add the finishing touch. Westcot House also has a growing library of fabric and trimming books by a wide range of designers. These include Romo, Linwood, Designers Guild, Ian Mankin, Warwick, James Hare, Blendworth, Emily Bond, Sophie Allport, and many more. Westcot House can also supply a huge range of curtain tracks and poles, and can arrange for these to suit any interior scheme. Ma Maison specializes in handmade soft furnishing including curtains, blinds, headboards, valances and cushions of all types. All our work is made following the client's own brief and attention to detail is our top priority. For each project, we will provide a full measuring and fitting service. Fittexpert is a specialist supplier and installer of high quality window fashion products with a strong focus on durable custom made products – I understand that everybody is unique and their home is a reflection of their style, taste and character. With a fabric showroom in North London and a mobile sales team, Buy Design are always ready to advise you and provide an estimate for your window dressing project - be it large or small, opulent or budget, contemporary or traditional. We are dynamic while remaining competitive and economical. We offer a wide range of versatile fabrics, well over 4,000, suitable for every environment and style, formal to playful, classic to contemporary. Our diverse range of multi-use fabrics providing a full palate of colours, designs & textures to choose from! We carry exclusive designer brands as well as 'everyday' affordable textiles. Whether you have a vision in mind, or need help choosing the perfect design, fabric or colour scheme for your space, we have the experience to deliver at every stage - from the first meeting through to post-installation. Give us a call to find out more and get started! Our mission is to provide first class soft furnishings at the most competitive prices, the attention to detail that we give to every single order has developed a reputation that brings thousands of returning and recommended customers to us every year. We offer the widest choice of fabrics, linings, curtain headings, roman blind headrails and accessories that can be found anywhere. Gina Moore provides a personal and bespoke service for made-to-measure curtains and blinds plus loose covers, cushions and all curtain paraphernalia. Curtain makers, retailers and designers in Tring, Hertfordshire can work wonders with pieces of fabric, while fitting blinds or shutters can be tricky to do yourself, so it’s definitely a wise idea to hire a window dressing professional in Tring, Hertfordshire who can design, make and/or fit bespoke blinds, curtains or shutters for you. 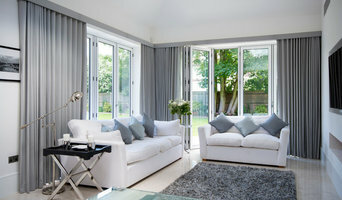 Whether you want sleek roller blinds for your home office, roman blinds for your kitchen, venetian blinds to smarten up your living room, plantation shutters for your bay windows or delicate voile curtains for the bedroom, there will be Tring, Hertfordshire curtain makers, blind fitters or shutter company to help you with your ideas on Houzz. A curtains, blinds or shutters company in Tring, Hertfordshire will first be able to advise you on the style of window dressing that will work with your windows and rooms. If you have an idea or design in mind for your window dressing, then discuss this with any potential experts, such as curtain makers in Tring, Hertfordshire, to see if your design and style is possible. You will need to work closely with them if you are planning on having custom curtains, bespoke blinds or shutters created. Curtain makers will be able to turn most fabrics into curtains, so if you’ve found a pattern or fabric you like already, present this to your Tring, Hertfordshire curtain makers and they could be able to turn it into curtains for you. Even when clients don’t have certain fabrics in mind, curtain makers can suggest fabrics based on your style and the rest of the room’s design. They can pick out the right weight, thickness, length and pattern that would suit your room. Curtain retailers in Tring, Hertfordshire will offer a huge range of readymade curtains, or curtains that can be adjusted or made to order. 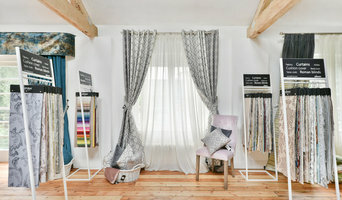 Contact Tring, Hertfordshire curtain retailers if you’d prefer to choose from a large selection of ready-to-go curtains; whether they are high-end designer curtains or just plain white curtains; rather than waiting for some bespoke designs from a curtain maker that may take a bit longer. You may find that curtain makers in Tring, Hertfordshire also offer a stock of ready-to-go curtains, too, but always double check with the professional first. Once you’ve decided on a design, curtain makers, blind fitters and shutter professionals will usually measure your windows or doors to ensure a good fit. If you are having blinds or shutters made then it will probably be best to have them professionally installed, too. Blind fitters and shutter companies should offer this service with their products as blinds and shutters need to be firmly fixed to the windows; something that most homeowners don't know how to do themselves. 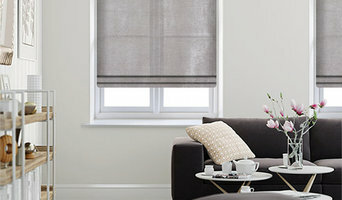 Although roller blinds and Roman blinds can be fairly simple, vertical blinds and Venetian blinds can be a bit more complex, and if you want remote controlled blinds that operate with the touch of the button, then you definitely need to call in the Tring, Hertfordshire blind fitters. 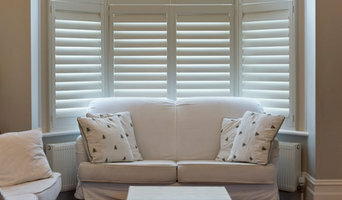 Plantation shutters are substantial window dressings and need careful measurements and installation, so it’s really best to leave the measuring, design, manufacture and installation to a professional Tring, Hertfordshire shutter company. Blind fitters, shutter companies and curtain makers in Tring, Hertfordshire should also check the insulation of your chosen window dressing and make sure there are no potential hazards once fitted. Finally, they should confirm with you that your curtains, blinds or shutters are functioning as you’d like them to before finishing the job. What should I ask Tring, Hertfordshire curtain makers, blind fitters and shutter professionals? Find curtain makers, blind fitters and shutter professionals on Houzz. Narrow your search in the Professionals section of the website to Tring, Hertfordshire blind, shutter or curtain maker professionals. You can also look through photos to find examples of Tring, Hertfordshire window dressings that you like, then contact the curtain retailers, blind fitters, shutter professionals or curtain makers in Tring, Hertfordshire who worked on them.